Stomach flu, Which is otherwise known as viral gastroenteritis can be experienced by anybody and everyone. People suffering from the condition may experience abdominal cramps, vomiting, nausea, fever, and diarrhea. Stomach flu is caused by viruses from food, water or any contaminated object or vermin that may come in contact with the gastrointestinal tract through the mouth. Since it is caused by viruses, it cannot be treated using antibiotics. Furthermore, antiviral drugs are also not effective in relieving the condition. In this regard, people suffering from the condition may benefit from simple stomach flu home remedies. Once the stomach flu symptoms have been noticed, stop solid foods intake for a while to let yourself cool down. 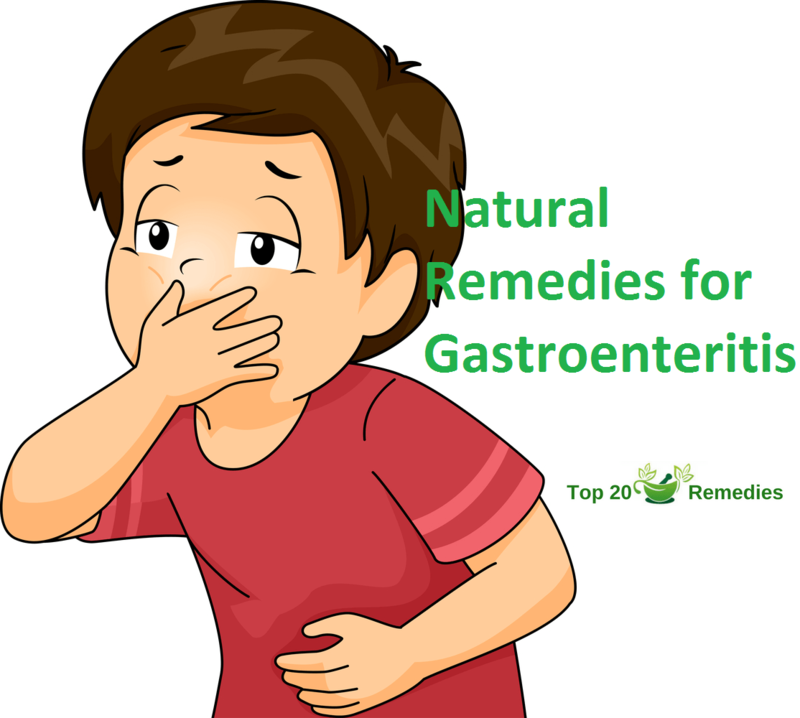 This will also prevent causing more damage to the inflamed walls of the gastrointestinal tract. Natural medicine researchers have shown that elderberry extract can be used as stomach flu treatment. The reason behind this application is the ability of the extract elements to reduce the virus activity by binding with each virus and thus preventing them from penetrating gastrointestinal tract cell walls. Mint: There are various kinds of mint available such as peppermint, catnip, lemon balm, spearmint, and wintergreen mint. Mint may be beneficial for stomach flu because it has antimicrobial properties that may help lessen the amount of virus in the GIT.